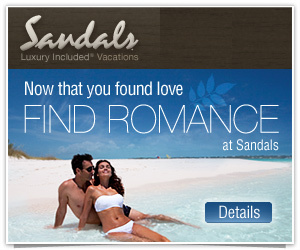 Exclusive Savings at Sandals Luxury Resorts! It’s no big secret that I’ve been trying to learn and grow as a wedding consultant and as a business owners. One of my latest methods has been to enroll in the Professional Wedding Consultant program through Penn Foster Career School (you can check them out here) On top of getting an education, my work with Penn Foster has earned me a membership with the Association of Bridal Consultants (ABC) and on of the many perks of being a member of this prestigious and professional association is the ability to offer exclusive deals and savings at all of the Sandals, Beaches, and Grand Pineapple Luxury Resorts! 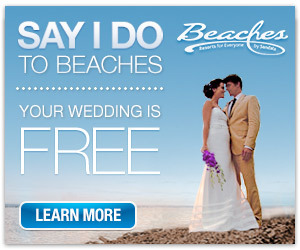 These deals aren’t just for honeymoons…they can be used for destination wedding packages, vow renewals, and unforgettable vacations! The only catch is that you have to use my specific links (which are also listed on my Facebook page) to access all the latest deals. So, what are you waiting for? Feel free to click the links, browse, day dream, and create the trip of a lifetime!